Whether you live in a bustling home where a family of different ages with varying tastes and interests needs to be accommodated, in a compact city pied à terre, or in a country or seaside retreat, you will find inspiration here for your ideal living space. The Creative Home brings together the best of Geraldine James’s Creative series of books and shows how to apply these ideas in your own home. 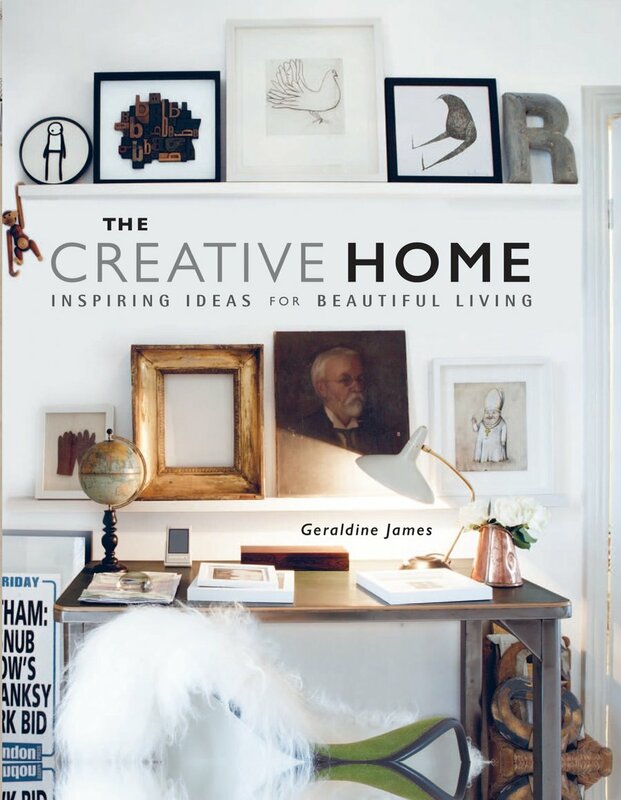 There are four chapters on different areas of the house—Cook and Eat features kitchens and dining areas, Relax and Socialize covers living rooms, Work and Create includes home offices and studios, and Sleep and Bathe, of course, shows bedrooms and bathrooms. A final chapter, Store and Display, shows how your home can be used to show off your treasures and store your collections. Each chapter features rooms of different styles—from sleek and minimal, to Aladdin's caves belonging to collectors of anything and everything, thrifty chic-style rooms furnished with second-hand buys, and renovated homes with no expense spared—as well as displays featuring designer items alongside inherited family heirlooms. However, the one thing every room has in common, whatever its style or purpose, is that it has been furnished and decorated with great attention to detail.